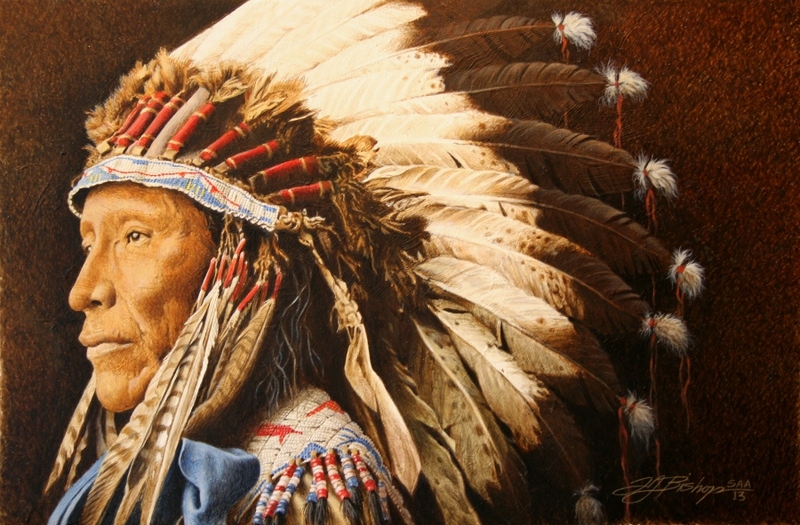 In the late 1800’s, on more than one occasion, the US government brought many Indian Chiefs from their respective reservations to Washington DC for ceremonial events. All were summoned at one time or another, warriors and chiefs from the Apache, Cherokee, Crow, Comanche, Sioux, Blackfoot, etc., etc. colorfully attired in their finest headdresses, beads, furs and robes they were utilized as the centerpieces for the ceremonies as well as subjects for the countless photographers there to capture the events and indian images for historical purposes. 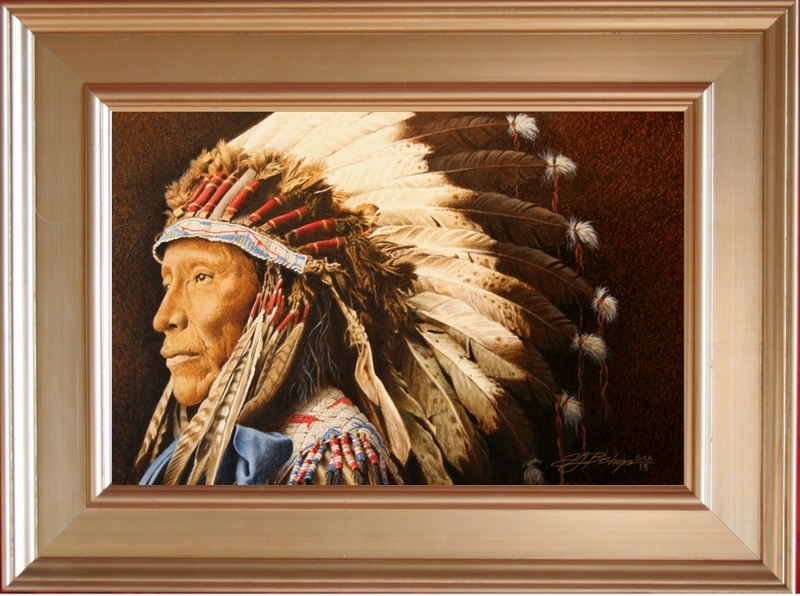 In 1898, at one of these events a sepia toned image of a Sioux Chief named “Afraid of Eagles” was taken and some 115 years later it became the inspiration and reference for my painting of the same name…..A proud man, a proud warrior, whose fine, native regalia, as it had with generations, represented his stature and position within his tribe, yet his face and eyes reveal the sad, poignant reflections of the changing fortunes of his people .